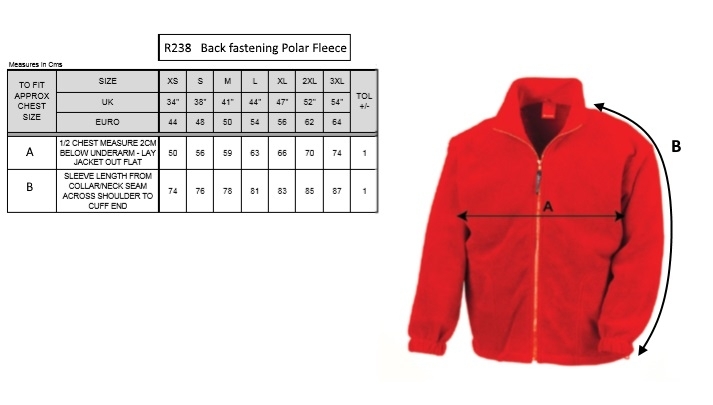 A fleece jacket is a really useful garment as they keep you warm and comfortable in a wide variety of ever changing weathers. They are also incredibly easy to wash and dry almost immediately. The problem with a regular fleece is that they are not always so easy to get on and off, especially if you are in a wheelchair with lots of straps, or have stiff limbs. When we asked our customers what they thought about offering a fleece this is typical of the many comments we received. Rackety’s fleece opens out completely down the back and has the lower section of the back removed so you don’t end up sitting on it and there is less bunching up at the front, making it is much easier to put on or remove when you need to and more comfortable to wear when you are in a wheelchair. This is a hardwearing garment suitable for every day wear, super easy to clean and really useful in most weathers! The elasticated cuffs allow the dresser to put their hands through the sleeve and guide the wearers arms through if required.